Wild Strings Trio was born in 2014 in Ljubljana as a collaboration between Slovakian jazz violinist Petra Onderufová, French classical cellist Toby Kuhn, and Slovenian balkan guitarist Aleksander Kuzmić; united by a powerful enthusiasm, a deep commitment to each other, and a shared desire to create a unique sound and a novel style, they have challenged themselves to blend and highlight the various musical genres encountered along their respective ways. Their music, sending roots out into folk music and improvisation, involved arrangements and complex rhythms, has flowered into a powerful, insightful flow which intrigues, touches and delights audiences all over Europe. They enjoy performing in all settings, from the streets to the big stages, art galleries to live bars, sharing their pleasure, dedication and excitement with their public wherever they go. all mixed up with a liberal dose of the joy we have at being alive. WST was born in 2014 in Ljubljana as a collaboration between Slovakian jazz violinist Petra Onderufová, French classical cellist Toby Kuhn, and Slovenian balkan guitarist Aleksander Kuzmić; united by a powerful enthusiasm, a deep commitment to each other, and a shared desire to create a unique sound and a novel style, they have challenged themselves to blend and highlight the various musical genres encountered along their respective ways. 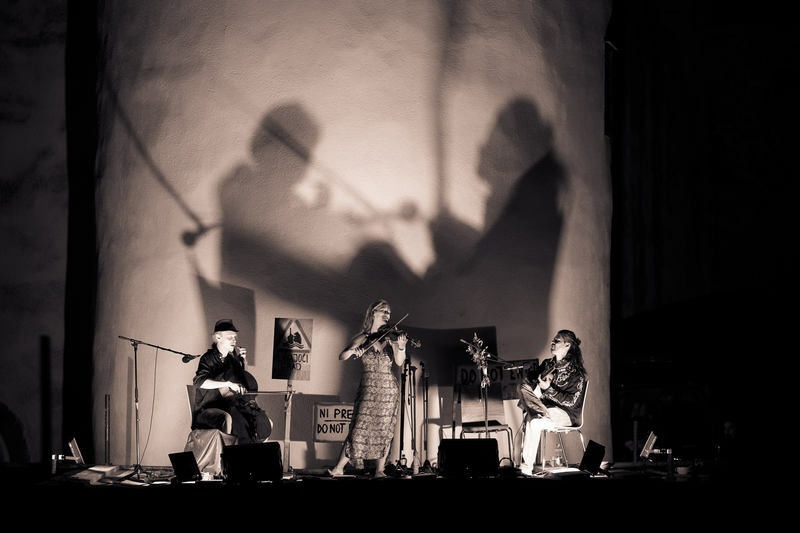 Their music, sending roots out into folk music and improvisation, involved arrangements and complex rhythms, has flowered into a powerful, insightful flow which intrigues, touches and delights audiences all over Europe. They enjoy performing in all settings, from the streets to the big stages, art galleries to live bars, sharing their pleasure, dedication and excitement with their public wherever they go.